This past weekend there were many performances going on from the opera Amal and the Night Visitors on both Friday and Saturday, and the Miss Campbell Pageant on Saturday. The opera was well done and the perfect length of time at only an hour. It got the viewers in the Christmas spirit because it was about the three kings going to a poor families house on their way to see the Christ child. The opera was filled with comedic relief and was done very well. The Miss Campbell Pageant was also filled with laughter as the emcee cracked jokes throughout the entire pageant to keep it lively. 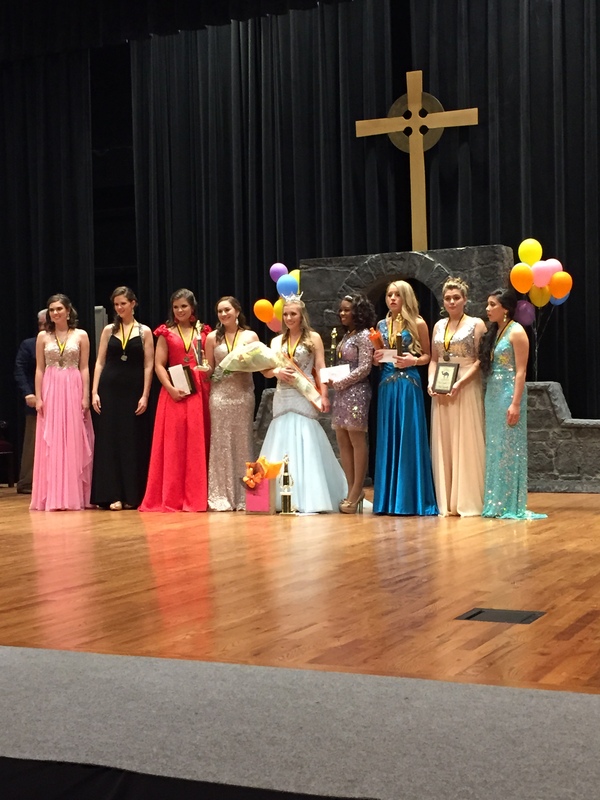 The pageant consisted of an opening number dance, Campbell wear, talent, and evening gown. There were nine girls competing and for Campbell wear, they all wore something that portrayed what each girl does at Campbell. The winner was Chelsey Bennett who will be representing Campbell for the next year. In athletics this weekend, women’s basketball won on Friday with men’s basketball loosing on Saturday.